What a good month October is shaping up to be. Well, as a Libran, I might be biased! The leaves are turning and the nights are getting a little darker earlier- so it’s time to start looking after yourself. Have a good Autumn to help keep those winter blues at bay. Dissolving into light is a technique for connecting up to the higher soul, to allow us to move away from the physical restriction of our daily bodies, to increase our spiritual awareness. This meditation technique is more for healing energy than for receiving messages. When Dr Usui re-discovered Reiki energy in the late nineteenth century it was not just a hands-on healing technique. The beautiful, gentle and healing energy of Reiki is wonderful to meditate with and send through the ether. 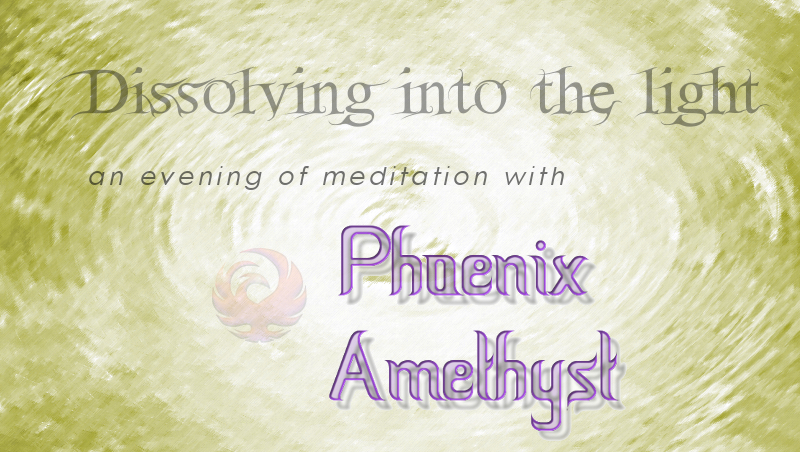 A meditation to connect in to Reiki energy and then we will send it to people and places/events. Just a few days before Halloween/Samhain there is a full moon! 🙂 We will be meditating on the power of the full moon, to connect with the magical, emotional and intuitive moon energy, with the black moon Lilith (not so scary, but very challenging 🙂 ) and grounding ourselves so that we don’t go ‘Full Moon’ crazy by the end of the night. I’m also running #TasterTuesday for bookings in Bristol. £10 for 20 minutes of £15 for 30 minutes of either Reiki, Ka Ba Sum or Dragon Star Healing. And also taking full bookings for Reiki, Ka Ba Sum and Dragon Star Healing. Previous Getting back to ‘Reiki’!